There hasn't been much sewing happening in these parts lately. On Friday, the moving truck finally arrived with our furniture and belongings...all 7,500 pounds of them. The good news is that I finally have a chair to sit in and I'm no longer eating my morning cereal out of a former styrofoam ramen noodle bowl. The bad news is that I'm living in a cardboard obstacle course. I did manage to get most of the stash unpacked last weekend (you've gotta have priorities) and was shocked to discover how much it has grown since I packed it up last April to stage the condo. The difficult combination of expanding stash, 20% reduction in living space and 50% reduction in storage space means that it's time to get the stash under control or the Christmas Tree might have to live in our living room year-round. 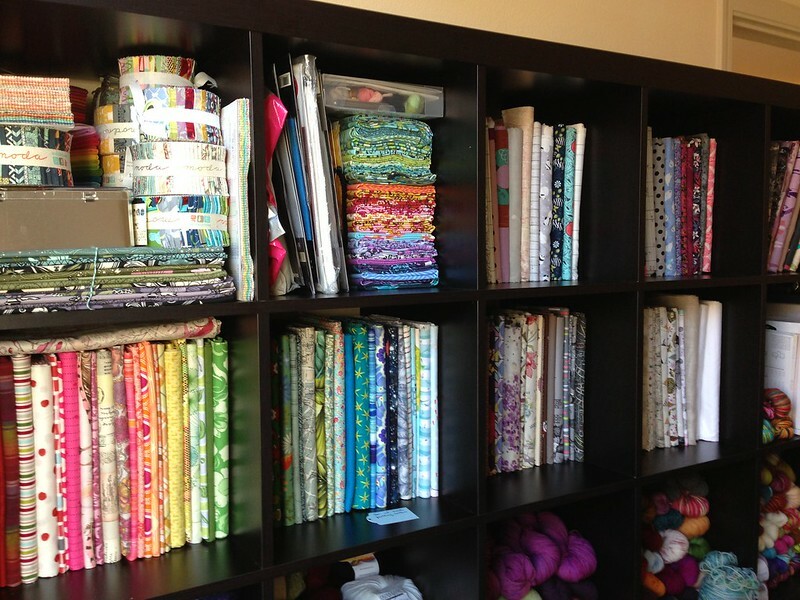 This means that for the next few months, I'm going to shop the stash before buying supplies for a new project. So far, so good. 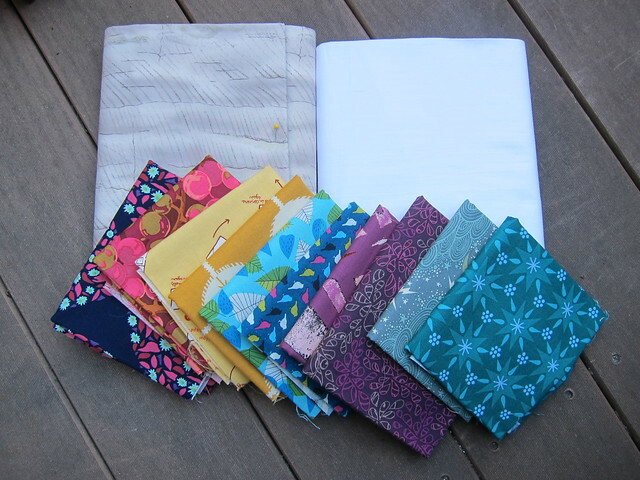 I was able to pull this stack to make Camille Roskelley's On A Whim Quilt which has been on my "to make" list for years now. It looks like the stash will even be obliging enough to provide backing and binding fabric when the time comes. I'm so excited to finally use some of these treasures! How do you show your stash who's boss? Hope you continue to settle in. Did you mention at some point where you moved to? I'm thinking it was a ways if you had to wait for your stuff to arrive! Enjoy settling into the new space! Your fabric stash is very scrumptious! You should have no problem shopping the stash. You can do it! Avoid temptation, maybe just a little. Gorgeous! And glad it has safely arrived :) My stash is fully the boss, no question! Ooh, nice fabric pull! It's amazing how quickly a stash can get out of control. I really enjoy shopping my stash though - hope you do too.